Analyst and consultancy firm Ovum predicts TV market will have multiple drivers in the forecast period. There will be steeper smart TV/4K TV growth in developing countries over the next few years as first-time smart TV consumers in these markets begin to purchase the devices en masse. 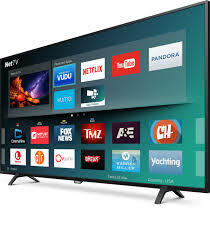 To date, smart TV uptake has been slower in these markets due to macroeconomic conditions, higher price points, and low rates of fixed broadband connection. Purchases will largely be driven by large sporting events like the 2020/22/24 Olympics and 2022 World Cup. Smart TVs will be considered a household necessity in most markets given the proliferation of localised and global OTT services and content. With the launches of services like Apple TV+, Ovum recommends that smart TV manufacturers should consider strategic OTT partnerships (with access to premium local or global content) to drive adoption in target markets. Increasingly important will be identifying players early to the 4K content given the 4K penetration of the market in coming years. A surging trend to keep an eye on is the increase presence of media streamer players in the smart TV OS integration space (e.g. Fire TV, Roku). Ovum reports 269 million TV unit sales for 2024. In 2024, smart TV sales will account for 81 per cent unit-share of total TV sales. In 2024, 4K TVs will account for 78 per cent of total TV sales. In 2018, Latin America experienced a 25 per cent increase in total TV shipments from 2017 leading to increased smart/4K TV adoption. Largely driven by the FIFA World Cup and multiyear economic growth in countries like Brazil. For the forecast period in developed markets: North America had the highest CAGR for smart TV unit sales, 13.9 per cent. Western Europe had the highest CAGR for 4K unit sales, 9.7 per cent.